The dictionary defines a “mistake” as an action or judgment that is misguided or wrong. Synonyms include error, fault, inaccuracy, omission, slip, blunder, miscalculation, misunderstanding, oversight, and misinterpretation. We all make mistakes in our lives, whether professional, social, or physical. 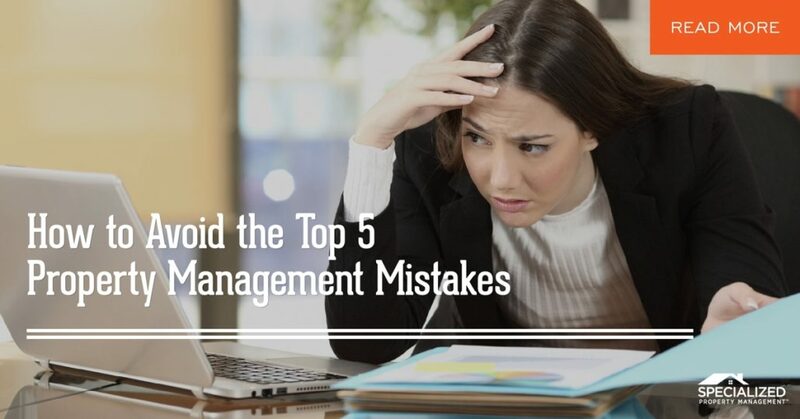 If you’ve just entered the Dallas real estate management business, you probably know that a simple mistake can potentially cost you your investment. At Specialized Property Management Dallas, we want to help you avoid the common property management mistakes most first-time owners make. Setting the right rental rate: make sure the monthly rate you charge is competitive with the area, but not way too low or way too high. Get our free market rent analysis today! 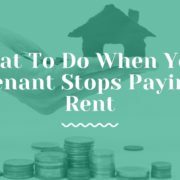 Make sure it’s “rent ready”: your home should be re-keyed and professionally cleaned, and make sure all repairs are taken care of before tenants move in. Advertise it extensively: just putting a “for rent” sign in the yard’s not going to cut it. Market your home on over 80 websites when you hire Specialized Property Management Dallas. 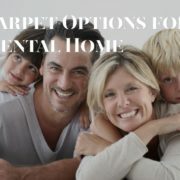 Show your home’s best side: it’s easier not to get emotionally involved in the leasing process if you hire a professional leasing agent to show your home. Under 1000 sq. ft.: families want space to move around. Look for a single-family home that’s got a good amount of space. No fence, busy street: it’s hard for kids to play outside if the home is on a busy corner and the backyard is not fenced in. If you purchase a home without a fence, you should seriously consider putting one up before you rent it out. No master bathroom: this can be a deal breaker for a lot of couples. Unusual layout: most people want a spacious kitchen that opens up to the living room and 3 or more bedrooms. 25+ years old: even if a home is in great condition, if it is more than 25 years old, you’re looking at a lot of maintenance repairs! Be sure the home you’re selecting for you Dallas real estate management experience is attractive and likable to potential tenants. If you’re still not sure, ask a friend, family member, or leasing agent to walk through it with you and give you their honest opinion before buying. 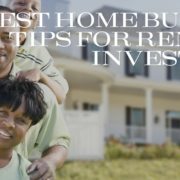 Verify a combined tenant income of at least three times the rent rate. Conduct a criminal background check and look out for anyone with a history of drugs or theft, and especially violent or sexual offenders. You’ve got to do all this while keeping in compliance with all anti-discrimination laws and Texas laws. Other real estate management companies will tell you that an effective screening process is essential to a profitable investment. If you don’t know where to start, ask a team member at Specialized! If the only time you check in with your tenant is right after they’ve moved in, you can expect to have a rocky relationship with them. Poor tenant communication leads to high tenant turnover. To avoid negative tenant interaction, respond quickly to your tenant’s questions and needs. Clearly communicate your expectations, and they will be sure to do the same. It’s a good idea to call or email your tenants to remind them about upcoming property inspections and maintenance repairs. Never just “pop over” to say hi, always give your tenants plenty of notice that you’re coming. Since proper rent collection is what keeps you in business, give your tenants the easiest option: to pay rent electronically. Be firm about your expectations for rent payments upfront, and have an automatic collections process that takes effect immediately if a rent payment is missed. At Specialized, we believe in fair but firm rent collection policies. That way, if there is a problem, you can catch it early on before it becomes an expensive repair. The number one reason tenants leave a rental home is if their maintenance requests are ignored. At Specialized, we have a 24/7 maintenance hotline where we answer emails and phone calls from your tenants to be sure the problem is addressed right away. 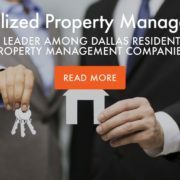 Your team at Specialized Property Management Dallas wants to help you avoid common mistakes in Dallas real estate management! Unlike other real estate management companies, we’ll save you time, money, and help you get things right the first time. 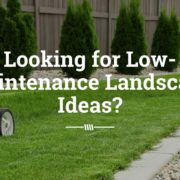 Give us a call today to put us to work for you. Dallas Rental Management Team Asks: When Does No Heat Mean Uninhabitable? So, You Want to Get into Real Estate?